One of their best traits is to be admired? The photo below is from the West side of the garden, at the base of a brick retaining wall (and being a home made mess I think of it as ‘rustic’), on which rests a rainwater barrel. Oregano (at bottom) and Marjoram (in pot on left) are closely related, my equal favourites, and the garden is full of them. Hyssop planted from seed last Winter, and for some time didn’t think would make it through. Those special flowers should be coming any day now! 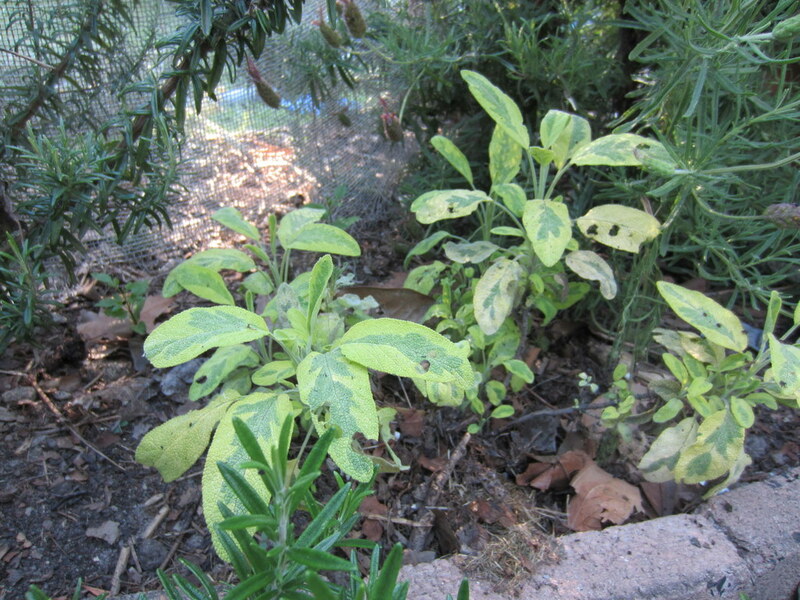 Sage growing in the lap of Rosemary and Lavender. All three seem to be enjoying each others company. A new batch of cuttings to share with my fellow gardeners. Marjoram takes so well it almost never fails. Can’t say the same of the Rosemary cuttings, more like one in five make it through. 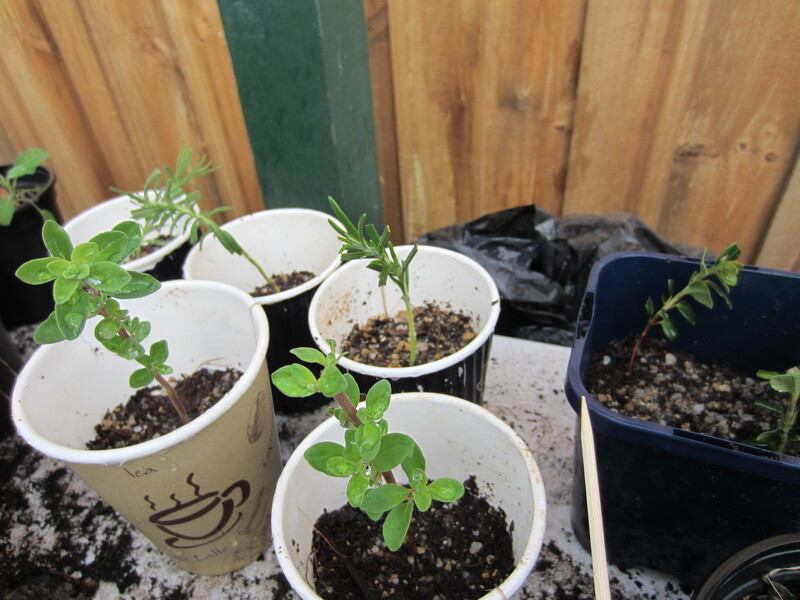 That could be Chilean Guava cuttings on the right? Tags: garden, herbs, Hyssop, lavender, Marjaram, Oregeno, Rosemary. Bookmark the permalink. Pineapple mint is my favourite. Grows like a weed and loves coffee grounds, which is something you would know about! Great site by the way. Not a problem Mary – since I got my new camera taking photos has become one of my favourite garden activities.